On Monday, October 22, 2018, at 3:15 p.m. Texarkana lost a little bit of southern charm and a lot of grace. Diane Green a beloved school teacher, friend to many, mother, wife, and member of too many civic groups to list passed away from this life and to the gates of Heaven. When I heard of Diane’s passing, like many in the Texarkana area, I was shocked. I had been blessed to know Curt and Diane through several political events and various functions. Immediately after hearing of her passing, I began to look over social media and found that my respect for Diane was not alone. There were state representatives sharing memories, Texarkana business leaders sharing memories, former students of Diane’s sharing memories and even people as far away as Little Rock talking about how her death was affecting them. One former student called Diane “A class act, a kind soul, a lady.” Another student stated that she had been in Diane’s first kindergarten class and that as one of Diane’s students she would sing when coloring. The lady said that Diane came over to her, told her she could not sing in class but promised to come to see her when she sings on stage someday. The student reported that true to her word, years later Diane would watch the former student sing on the stage at the Oaklawn Opry. 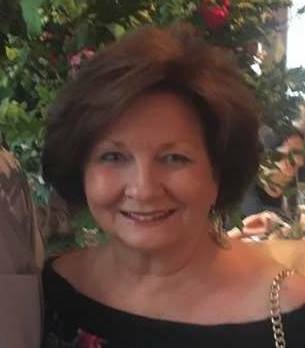 A former state representative would sum up many feelings around Texarkana when she posted simply, “Forever in our hearts.” The caption was found above a picture of Diane and the representative on Facebook. As for me, I met Diane first at a political function. I tend to stand back and observe at many of these events. I was in the process of observing when Diane must have noticed I was looking around from the side of the room. She came over, introduced herself, and talked for a little while. I remember having the immediate feeling that I was talking with a lady of southern charm, and of the kind of grace you did not simply respond to with a “yes” or a “no,” but instead, you responded with a “Yes ma’am,” or a “No ma’am.” I would later assume that the feeling must have come from the overpowering presence that Diane presented. Maybe that presence was something from her time as a teacher, or it was just something from the way she carried herself. Whatever it was about Diane that projected this positive presence I quickly observed it from others in the room as well. Everyone at the event was responding with the same respect that seemed appropriate to Diane’s status and to her person. Although I would never have as close of a friendship with Diane as many others have had, I would always be amazed by the way she would seemingly seek me out to say hello at events. But, then again, I suspect that Diane was always the type to seek everyone out at events. Though she had the southern charm and the grace that made her character beautiful, people also seemed to gravitate to her in casual conversations and conversations of importance. With all the positive statements, reports, and things I have heard about Diane over the last few days, it has become apparent that Texarkana has certainly lost a little bit of the southern charm and grace that makes our area unique. Many people have been affected by her from school children to adult business leaders around the world. While Texarkana and the Green family have suffered a tremendous loss, we can all rejoice in the fact that Heaven has certainly gained more charm and grace than was there before. In fact, based on my observations of Diane, I suspect that when she arrived at the gates of Heaven, even St. Peter found himself responding to Diane’s charm and grace with a “Yes ma’am” as he welcomed her home.